Psychologists often say that humans have a tendency to flee from various fears in life, but psychiatrists want them to triumph over fears. In Kashmir context, the need to conquer fear has assumed new meanings in last 27 years. Top police and army officials have said it on record that the young boys who have joined the ranks of the armed rebels, following mass protests of 2008, 2010 and Burhan Wani's killing in 2016, are "highly motivated" and "do not fear death". But this is not true about militants alone. 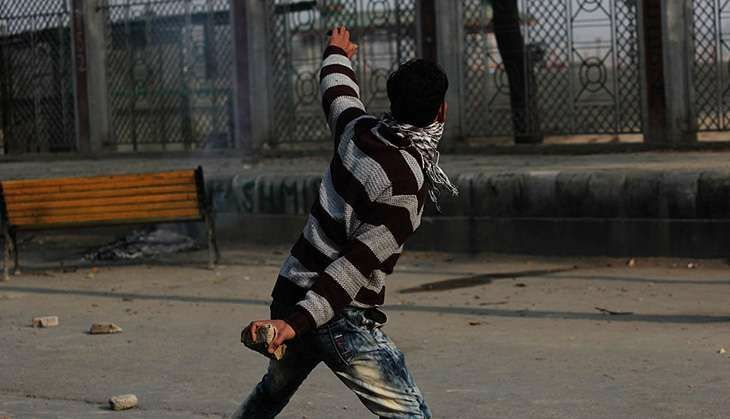 Many youngsters in Kashmir, especially those born after 1989, do not fear death. That is perhaps why Kashmir witnessed three summer uprisings between 2008 and 2016. The latest one that began July this year lasted for over four months. This summer, the people, especially the youth and teenagers, assembled in various grounds, parks, and Eidgahs to stage pro-Azadi protests on a regular basis, knowing fully well that this overt expression of a political sentiment would prove costly. It certainly did. In government's brutal response, more than 1,000 youths were hit in the eye by pellets, ironically described as "non-lethal" by the government. Over 10,000 youths received injuries as government forces foiled various pro-freedom demonstrations and public rallies by resorting to unprecedented use of force. Tear gas shells, bullets and pellets were disproportionately used to quell the protests. According to the Ministry of Home Affairs, nearly 7500 persons have been arrested in Kashmir since 8 July 2016. In such a situation what options do you leave for the youth to choose from? What do you expect when you deliberately choke all democratic spaces for dissent and treat participants of a public rally as combatants and believe in a military solution to a political issue? Kashmir has remained on the boil since 8 July. The PDP-BJP government has resorted to unjustified use of force to bring a semblance of normalcy in Kashmir. Khurram Parvez, a prominent human rights defender, was arrested under the draconian Public Safety Act (PSA) and eventually released after 176 days. A government ban on Kashmir Reader, a Srinagar based English daily, still remains in force. Curiously, both Parvez and Reader are accused of "instigating violence" in the Kashmir Valley. Why is Kashmir where it is today? Why are Kashmir's youth losing the fear of death? Why has Kashmir stopped mourning the death of pro-India Kashmiri politicians after the Sheikh's demise? Since the massive public participation in Sheikh Mohammad Abdullah's funeral in September 1982, no pro-India politician including the late Mufti Mohammad Sayeed got a grand funeral. Why are the wrong policies of New Delhi and Islamabad forcing Kashmir's fifth generation to adopt a new vocabulary where A is for Atrocities, B for Bullet and C for Curfew? Can politicians in India and Pakistan afford maintaining status quo on Kashmir? The Kashmir dispute is a big fat elephant in the room, which New Delhi neither wants to see nor acknowledge. This is the primary reason why Kashmir is burning today. Key Kashmir watchers warn that if no meaningful efforts are made to move towards conflict resolution, what might follow would be too terrible to imagine. A peaceful resolution to this 69-year old conflict is a must. Fire-fighting exercises will not do. The strategy of attrition is bound to fail. Cosmetic band-aid approach will bring no dividends either. Remember, Kashmir can erupt again. Therefore, it is incumbent on all stakeholders to work towards conflict resolution at a time when Kashmir is relatively peaceful. Various stakeholders involved in this conflict must make the most of the islands of peace to avoid repeats of 2008, 2010 and 2016. Delhi must understand that Kashmir's youth are not puppets of Pakistan. When large sections of India's corporate media and chest-thumping politicians of the BJP constantly accuse Kashmiris of being "Pakistani mercenaries", "Pakistan sympathisers", "paid agents", "miscreants" or "trouble makers," they feel insulted and humiliated. In the absence of a peaceful political resolution to the dispute, Kashmiris are frustrated. Neither Delhi nor Islamabad can infuse a sense of defeat in them. They won't forget. Memories do not vanish. The people of Kashmir have their legitimate political aspirations which are being deliberately criminalised by New Delhi. There is an urgent need to see Kashmiris as who they are, not what they are feared to be. Delhi's endeavour to assert control in Kashmir through violent and military means is proving counterproductive on many counts. The pro-resolution sentiment is fast turning into anti-India sentiment. Experts are saying that India's belligerence is completely washing away the middle ground in Kashmir. This is an alarming situation. India's political elite needs to face truths about Kashmir and tell these to its people. In his meticulously researched book The Idea of India, historian Sunil Khilnani argues that "In the cases of Kashmir and Nagaland, India enforced its claim of sovereign control by military means. Immediately after Partition, the first of several wars with Pakistan over Kashmir erupted.". Khilnani further writes that "the capacity of the Indian State to contain armed insurgency - either through outright suppression or attrition" - remains huge. He makes a case that people in border territories and landlocked regions like Kashmir, Punjab and Nagaland are "witness to the tragedy of misjudging this capacity". However, he concedes that "...the prospect of a government led by Hindu nationalists was profoundly disturbing for a Muslim in Kashmir, a Sikh in Punjab, a tribal in Assam or a Christian in Nagaland. There is strength to such arguments, and it is hard not to feel that that the claims of separatists in Kashmir or Nagaland have the force of justice behind them." Similarly, Ramachandra Guha in one of his recent articles published in Hindustan Times argued that "While elsewhere in the country, Virat Kohli scores double hundreds, and R Ashwin claims his 200th wicket, records of another sort are being broken in Kashmir. Here the curfew has reached its century of days, the death toll is close to a century too, while bullet injuries and blindings now number in the thousands rather than hundreds. The records set by Kohli, Ashwin and company bring credit to Indian cricket. The records being set in Kashmir bring shame to India and Indian democracy." Unfortunately, in its obsession with Kashmir, New Delhi prefers denial over rationality. When it comes to Kashmir, there are denials at three levels: one - the Indian government; two - its corporate-owned media, and three - the forces in mainstream politics. The Nawaz Sharif government in Islamabad also needs to understand that Pakistan's rhetoric will not resolve the Kashmir dispute. India's rhetoric will not solve it either. Pakistan needs to respect Kashmir's indigenous political struggle. Kashmir should not be used as a battleground for competing hegemonic discourses in the region. Kashmir is crying for a peaceful resolution. Most Kashmiris favour friendlier relations between Pakistan and India. They want Kashmir to become a bridge of friendship between the two nuclear states. Kashmir suffers because of India-Pakistan hostility. India and Pakistan suffer because of the Kashmir conflict. Kashmir benefits from India-Pakistan friendship. Both Pakistan and India will benefit from a peaceful Kashmir. That's why there is an urgent need for statesmanship. But that's precisely what is lacking in India, Pakistan and Kashmr.